LONDON (AP) — Prime Minister Theresa May held talks Friday with European leaders and British Cabinet colleagues, but efforts to end Britain’s Brexit stalemate appeared deadlocked, with neither May nor Britain’s opposition leader shifting from their entrenched positions. May has been meeting with politicians from several U.K. parties this week to try to find a way forward after her European Union divorce deal was overwhelmingly rejected by Parliament. Despite that, May has been unwilling to move her “red lines” in the Brexit negotiations, which include taking Britain out of the bloc’s customs union. And opposition Labour Party leader Jeremy Corbyn has refused to meet with May unless she rules out the possibility of Britain leaving the EU with no deal — a scenario that many believe would hurt the British economy. May on Friday also spoke to German Chancellor Angela Merkel, Dutch Prime Minister Mark Rutte and European Commission President Jean-Claude Juncker, and planned more calls to European colleagues over the weekend. But the talks yielded little progress. 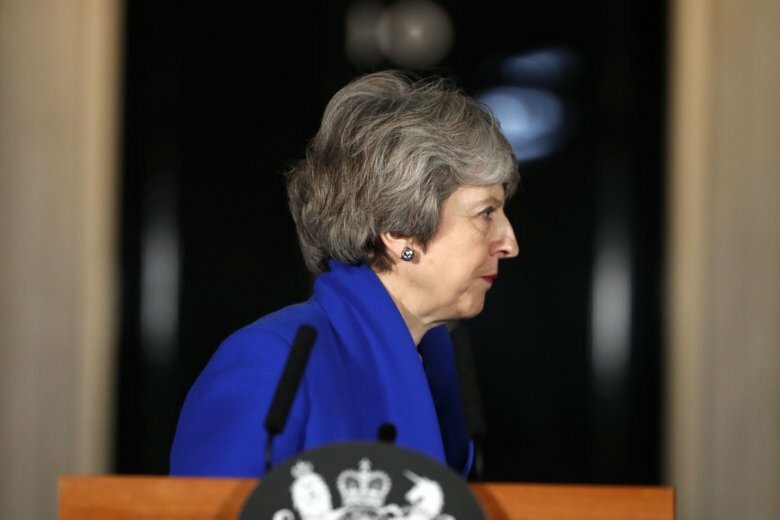 May, who narrowly defeated a no-confidence vote in her Conservative government triggered by Corbyn this week, said it was “not within the government’s power to rule out no-deal” because by law Britain will leave the EU without an agreement on March 29 unless Parliament approves a deal before then. May is due to publish her revived Brexit blueprint on Monday, before British lawmakers debate it — and doubtless try to alter it — on Jan. 29. The prime minister is in a bind. Many lawmakers think a “soft Brexit” that keeps Britain in the EU’s single market or customs union is the only plan capable of winning a majority in Parliament. But a large chunk of May’s Conservative Party is vehemently opposed to that idea. Britain’s political chaos has spurred EU nations to step up preparations for a disorderly British exit. France and other countries are spending millions, hiring thousands of workers and issuing emergency decrees to cope with the possibility that Britain will crash out of the bloc, sparking major disruptions to travel and trade. French Prime Minister Edouard Philippe on Friday inspected some of the country’s preparations for a no-deal Brexit, visiting the Eurotunnel complex and meeting with small businesses on the English Channel coast. France is paying special attention to the Channel tunnel, which carries millions of passengers annually between Britain and France, as well as freight trucks that play a significant role in Britain’s trade with the continent. The signatories include Annegret Kramp-Karrenbauer, leader of Chancellor Angela Merkel’s Christian Democratic Union, Airbus chief Tom Enders and former German national soccer player Jens Lehmann. Amid the political impasse, May’s domestic opponents are gathering. Brexit-backing former-Foreign Secretary Boris Johnson used a speech Friday at a bulldozer factory to accuse May of lacking the “gumption” to get a good deal from the EU. Johnson, a likely future contender to replace May as Conservative leader and prime minister, urged her to “go back to Brussels and get a better deal,” even though EU leaders have said the withdrawal agreement won’t be renegotiated. He dodged a question of whether he would support May as party leader if a sudden general election is called, saying instead that Britain does not need a new vote. Angela Charlton in Paris and Greg Katz in London contributed to this report.